I have mixed feelings about Employee Appreciation Day. I know, what’s not to like about a mass celebration of employees on a dedicated day each year? Some of my closest friends initiate, plan, and deliver Employee Appreciation events each year, so I write my true feelings at great personal risk. Employee Appreciation Days are actually a great gesture of gratitude from a company’s leadership team to their staff. The challenge I have is that appreciation is not a one day event. It’s a great gesture as long as it’s just one day that underscores a culture of regularly appreciating staff. There are managers for whom Employee Appreciation Day is just a day that puts their regular practice of appreciation on steroids. I have observed, however, that for some managers, Employee Appreciation Day is an opportunity to put a big check mark on their “To Do” list. It’s the beginning, middle, and end of their employee appreciation strategy. It’s seen as a super-efficient plan to ride the wave of organization-wide thoughtful activities delivered in one action-packed day. Once the sun sets then rises the next morning, they are back to their draconian management style for the remaining 364 days of the year. I recall a memorable manager from my past. On employee appreciation day the management team made breakfast for the staff. This manager served me pancakes in the staff kitchen along with the other managers, and offered kind words about how valuable we, his team, were to him. He stressed the contribution we make to the company’s overall success. This would have landed much better with me if it weren’t for the fact that he began many regular staff meetings by going through newspaper headlines about companies announcing layoffs, and then letting us know we should just be happy to have a job. I am confident that throughout that staff breakfast event the irony was lost on him. At least the pancakes were good. I liken Employee Appreciation Day to Valentine’s Day. I’m not a fan of that day either. Valentine’s Day, like Employee Appreciation Day, should be an extra special day in a lifetime of appreciating our partner, and finding ways to express that appreciation in big and small ways. We choose to demonstrate our love on the 45th day of each year. In the weeks leading up to this day, we are bombarded with social media posts and ads reminding us of this auspicious day and urging us to do something special to mark the occasion. There’s nothing spontaneous or impromptu about it. Valentine’s Day is premeditated. You may feel like doing something on the 22nd day of the year or the 67th however that doesn’t exclude you from the expectation that you will do something of substance on Valentine’s Day. We typically purchase flowers at inflated prices, hustle to book reservations at packed restaurants, and buy chocolates, candies, and cards to mark the occasion. These are all lovely gestures. But what about the other 364 days of the year? I find Valentine’s Day gestures far less meaningful than bringing me flowers just because you were thinking about me on a particular day. Perhaps on the 112th day of the year. Cleaning my car just because it needs to be cleaned and I’ve been too busy to get around to it. Saying that you really enjoyed a meal I cooked. These are meaningful gestures to me. Just like a beautiful bouquet of flowers on Valentine’s Day doesn’t create the foundation for a successful relationship, Employee Appreciation Day can’t be a “one-and-done” event. If I were to ask you, as a manager, to list some ways that you demonstrate your appreciation to your team members throughout the year, how long would your list be? Would it take you a while to think them up or are they top of mind? Would your list only consist of Employee Appreciation Day activities? Knowing that a team member has been working extra-long hours and weekends to meet a critical deadline, walking over to them at noon on Friday and telling them to take the rest of the day off. Stepping in when a client is making unreasonable demands on your team to manage the client’s needs, while also setting the clear expectation with the client that team members need to be treated fairly and with respect. Some would argue that bonuses and raises are the strongest ways of showing appreciation. I have never declined either of these gestures, however, monetary options are not always feasible for a manager. As well, they are only motivational in the moment—once the bonus is allocated or spent and your budget adjusts to your new salary, the ongoing impact of these tactics fades. My most meaningful experiences of appreciation, work or otherwise, have been when someone spontaneously caught me going above and beyond, and simply and sincerely said “thank you,” sent me a hand-written thank you note, or email. The most valuable forms of appreciation are simple and free—every manager can afford to do them. The only cost involved is the time it takes to pay attention in order to spot the amazing things dedicated team members are doing on a regular basis. There’s nothing inherently wrong with Employee Appreciation Day, just as there’s nothing wrong with indulging in a bit of extra romance on Valentine’s day. But if your whole strategy for appreciating the people in your life hinges on one premeditated day of activities, I can guarantee that they don’t feel particularly appreciated. Simple, spontaneous acts throughout the year will be much more effective, and ensure that your employees aren’t rolling their eyes over their pancakes on Employee Appreciation Day. 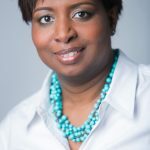 Dionne England is a writer, speaker and coach. She works with strong leaders and progressive organizations to cut through the corporate BS so they can change the world through their work.